Tee ALWAYS does a great job! I have ordered several times and she has always had my order on time and in perfect condition. 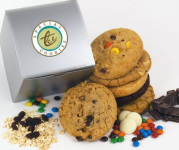 The attention to detail is what makes "specialtee" cookies the perfect treat for any occasion!